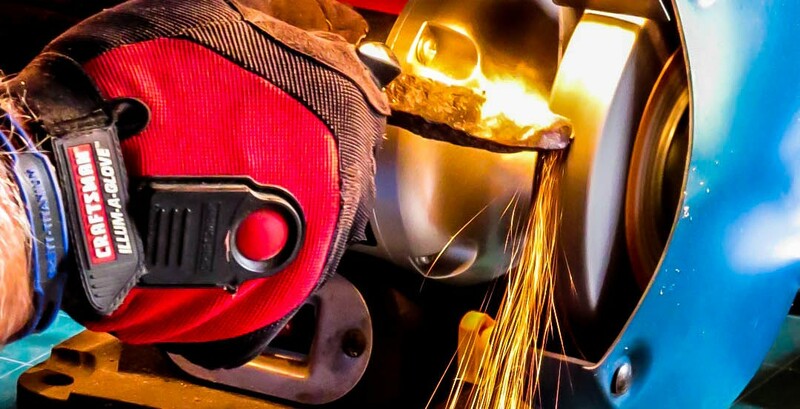 Hal “Gonzo” Gonzales, Jr. | Hal "Gonzo" Gonzales, Jr. - "The Knifemaker"
Author Archives: Hal "Gonzo" Gonzales, Jr.
Posted on December 24, 2016 by Hal "Gonzo" Gonzales, Jr.
A bit of history -A Coehorn was a portable mortar developed in the Netherlands by Menno van Coehoorn in 1674 and in use from the seventeenth to the mid nineteenth centuries. Unlike larger, heavier mortars, the coehorn was designed to be movable by as few as four men. By the time of the American Civil War, it was in service with both armies in twelve (4.62″) and twenty-four pound varieties. Unlike most other contemporary mortars, the coehorn fired a powder-filled, time-fused shell at a relatively short range. Range could be altered by adding to or reducing the amount of powder loaded behind the shell. Its usually small powder charge and slow muzzle velocity meant that the shell’s high, arching flight could be easily observed from ground level. Small replicas of Coehorn mortars made of brass and steel with wooden bases. Size of barrels range from 6 to 10 inches. See more images on Specialty Knives page! 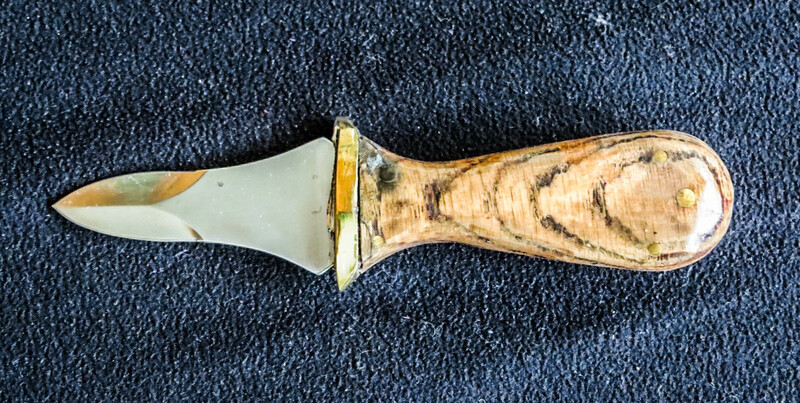 File Knives – A Viking Seax! Check out this new creation created from an old file. The knife resembles a Viking Seax. Unique Railroad Spike Knives Now Available! Posted on December 3, 2015 by Hal "Gonzo" Gonzales, Jr. 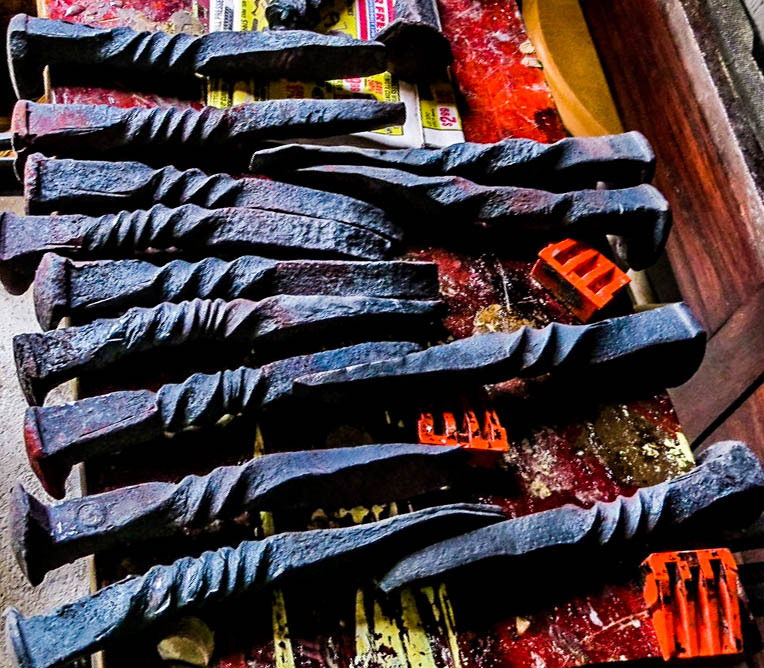 These railroad spike knives make great gifts for the holidays or for any special occasion. 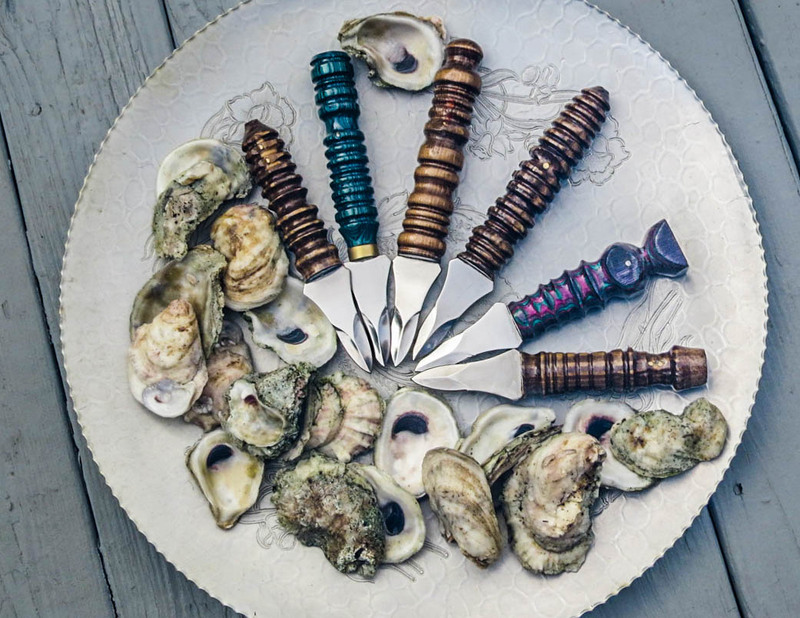 If you love oysters, you may find the railroad spike oyster shucking knives a great fit. Cheese and fruit on the menu? Or looking for a unique steak knife? 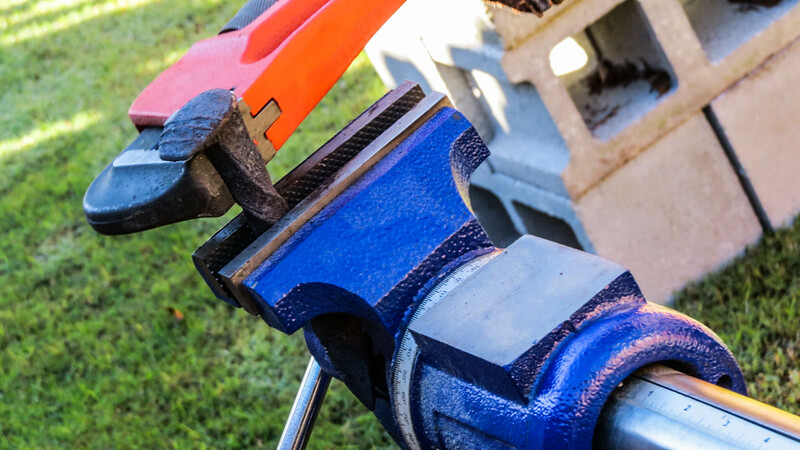 The hand turned railroad spike cutting knife will stand the test of time and use. Click on this link for more information about these unique creations – https://halgonzalesjr.com/specialty-knives/. Posted on November 16, 2015 by Hal "Gonzo" Gonzales, Jr.
It’s that time of year when everyone is searching for just the right gift to give their favorite oyster lover. 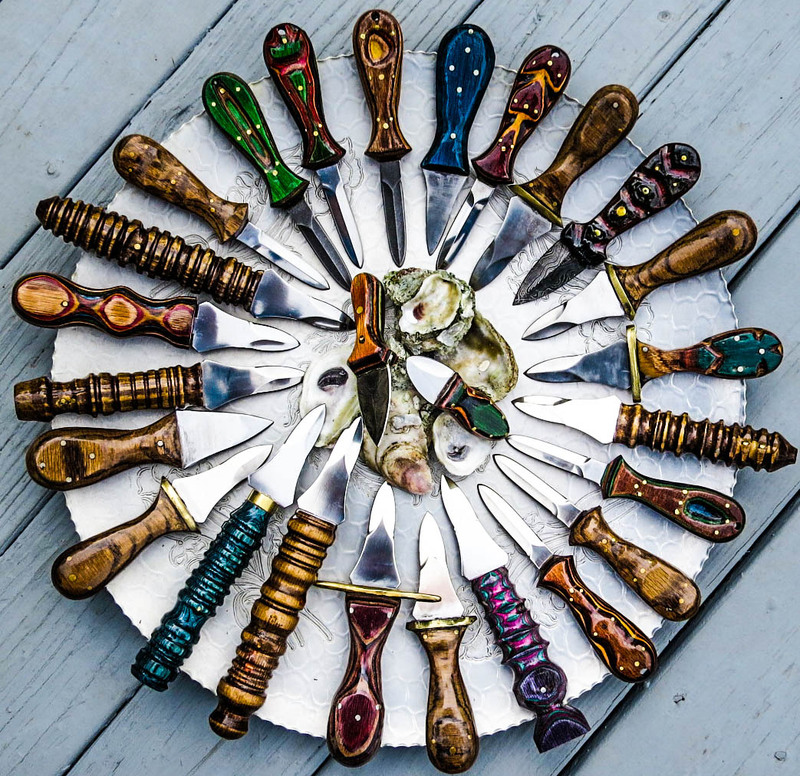 Why not try a unique hand-forged railroad spike oyster shucking knife? 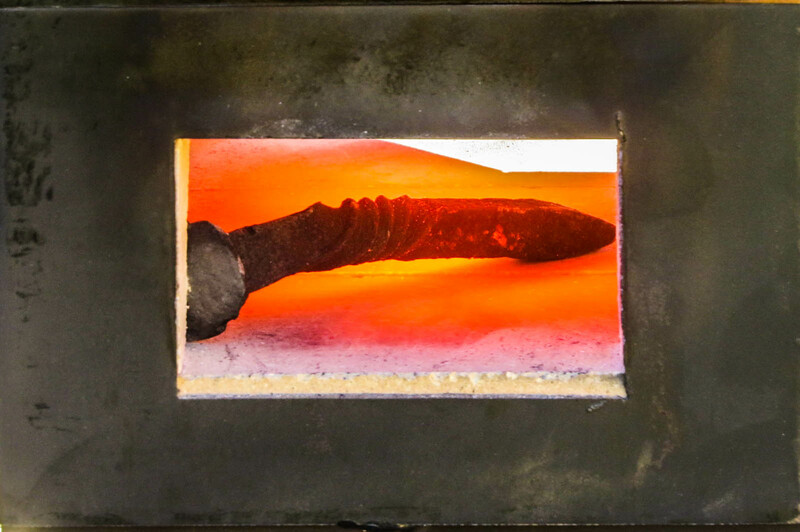 See more information about this process and the knives click here – https://halgonzalesjr.com/blacksmith-and-forge/ or email me at 51gonzo46@gmail.com.